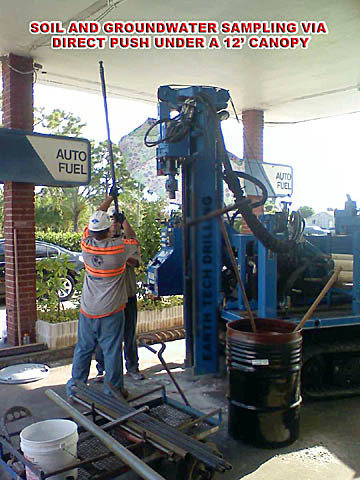 Because Earth Tech Drilling specializes in environmental drilling services we have the latest equipment and techniques to meet your project’s needs. Our technological expertise and knowledge of environmental rules and regulations means you can be confident your project’s environmental drilling solution is sound and safe. Because each drilling project has a unique environment, we rigorously assess your project and formulate the best approach to meet your needs. Whether you are drilling a small borehole or monitoring well, taking soil samples, we can help you. Our team will ensure your project is a success, with improved health and safety conditions and reduced environmental impact. 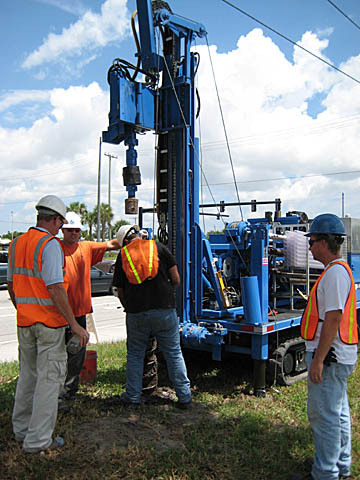 We have a high-quality environmental drilling services team, providing a range of state-of-the-art techniques and equipment to suit your environment. Our range of equipment can work in environments with limited access (10’ clearance) or sites that require a small foot-print. Based on your site and the results you need, we select the best methods, equipment and the best people. Our highly experienced team becomes your team, combining speed and safety to do the job efficiently and economically. Our environmental drilling teams are highly trained to comply with the latest industry and environmental laws and regulations. 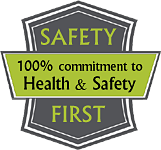 We also have a Loss Prevention System (LPS) in place and all our technical staff undergoes regular health and safety training. With the experience of successfully managing thousands of environmental drilling projects, we have a track record of meeting complex challenges with innovative solutions. To ensure the right approach for your project’s success, contact Earth Tech Drilling.